Last year, we quadrupled our efforts to address the food insecurity needs in Dodge County, moving from fifty boxes at the holidays to two hundred boxes! We met our goal and gave tremendous blessings at both Thanksgiving and Christmas to our neighbors. It was wonderful to watch, an encouragement to the heart, not only for me but for so many of us. Just like Abraham, we’re blessed to be a blessing and we shared that together. Thank you for your generosity last year! Those deliveries also revealed the tremendous amount of need all around us. And so, we renew our effort to provide food for our neighbors by providing food boxes again for Thanksgiving and Christmas 2018. Our goal is two hundred boxes: one hundred at Thanksgiving and another at Christmas. Because of the depth of need, we are asking for donations of $40 per box this year, although any amount will be accepted. 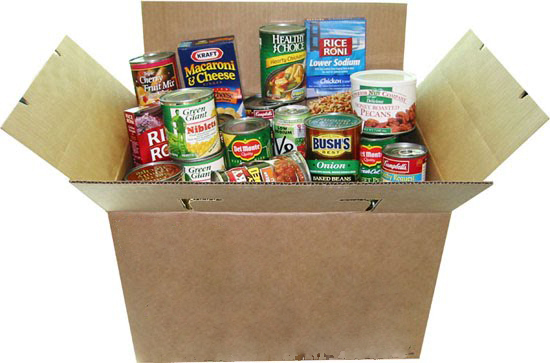 Donations may be made via PayPal (click here) or by check to the church, marking the memo line for food boxes. Through our efforts last year, and again this year, we share the love of Christ through sharing a meal, just as our savior did for us at the Last Supper. Previous Become a Reading Buddy!